3DEYE is the simple alternative to complex and costly hardware-based VMS systems. 3DEYE is a powerful, easy to use Video Surveillance as a Service Platform that takes only seconds to discover and connect IP cameras. There’s no software to install. No hardware to configure. Accellence Technologies GmbH is a consulting and development firm for information and communication technology. It was founded in 1999. They develop solutions for transmitting audio and video over digital networks and support customers in the development and application of network-capable digital audio and video solutions, especially in the areas of transportation and security engineering. The Advancis Software & Services GmbH PSIM+ software, WinGuard X3, provides a central platform for the efficient control of the entire corporate security. It supports the seamless integration of the different security and building management, as well as communication systems into one single user interface. WinGuard X3 collects all incidents from the installed security, building management and information systems, displaying them using the intelligent event visualization. All events are synchronized with the video stream. Even when numerous events take place simultaneously, the user always retains control over the situation with automatic prioritization and dynamic workflows for event processing, which is supported by the system. AGORA is a software engineering company focused on developing applications for physical security businesses, with deep know-how in IP video technology, analytics, and security systems integrations.AGORA Security Management Software provides intelligence to your systems by improving operationality and reducing risk to your assets. It's a unified and open platform that integrates several systems (video, alarms systems, Fire Systems, GPS systems, IP intercoms, Loneworker devices and others), adding interactive procedures increasing productivity, security and safety. The Software is used across the globe in multi-site and single site organizations with centralized operations in a Command Center, like Banking, Critical Infrastructures, Retail, Central Monitoring Stations and others. AGORA SMS monitors and measure your Command Center performance with a set of tools of Business Intelligence. Aimetis Corp. is a Waterloo, Canada-based software company offering integrated intelligent video management solutions for security surveillance and business intelligence applications. Founded in 2003, the company is a global leader in intelligent video technology and is propelling the adoption of video analytics as an integral component of video management solutions. It’s unique in providing a single platform for easily migrating customers from simple analog systems to intelligent IP video systems; offering the highest levels of service and support; and providing the industry’s easiest to use products. Aimetis has distributors and certified partners in over 100 countries and serves a variety of industries, including retail, transportation and others. Their main product is the digital video recorder VDRS and is available in many versions which allows to cover practically all demands of costumers. Besides digital video recording systems they offer the PRS system – identification and plate recognition system. Together with VDRS recorder it makes unusually effective tool for recording and controlling vehicles on parking lots, border passages, petrol stations and many more places, where monitoring of vehicle movement is needed. "ARGOS Technologies is the French leader in the conception and manufacturing of hardware and software dedicated for the video surveillance. -Image analysis /smart video surveillance softwares. Integrating the latest technologies of server/client and 3D maps ergonomie, the software “ARGOS SoftNet Manager” is THE solution to manage a complete installation of alarms and video surveillance equipments. We provide opened solutions that allow to manage up to 10.000 network cameras. Automatic tracking , video sensor , license plates recognition , people counting for statistics, detection of accidents are some examples of the solutions integrated by ARGOS Technologies"
Success is based on the ability of the team to work together to produce a positive outcome. At Arteco, we believe every player is a unique part of our team working together to create an environment where communication and success are common goals. At Arteco, our team extends out from our Salesforce to Customer Support, from Operations to R&D and more importantly to our partners around the globe who work together to create this success. Arteco was founded in 1987 as an industrial electronics manufacturer which grew to a leading developer of motion control technology. Over the years, we have leveraged our knowledge in machine vision applications to pioneer in the field of video analytics for the Video Security industry. This combination of industrial know-how and investment in video management has contributed to the creation of a superior video security product line with an exponential growth strategy. In recent years, Arteco has quickly become a leader and market innovator in Video Event Management Software (VEMS) with substantial Presence throughout the World. Today, Arteco consists of three different Business Units: Video Security, Industrial Automation and Building Automation. At Arteco we embrace globalization and we strive to be a truly global company with branches in Europe, North America, Latin America and Africa. In a world of ever-changing technology needs, Arteco stands-out as a leader in Intelligent Video with a solid focus on innovation, industrial experience and financial reliability. This leadership is maintained by a tactical global sales force ready to support enterprise-wide solutions around the world . Founded in 2011, ASUSTOR Inc. was established via direct investment from ASUSTeK Computer Inc. 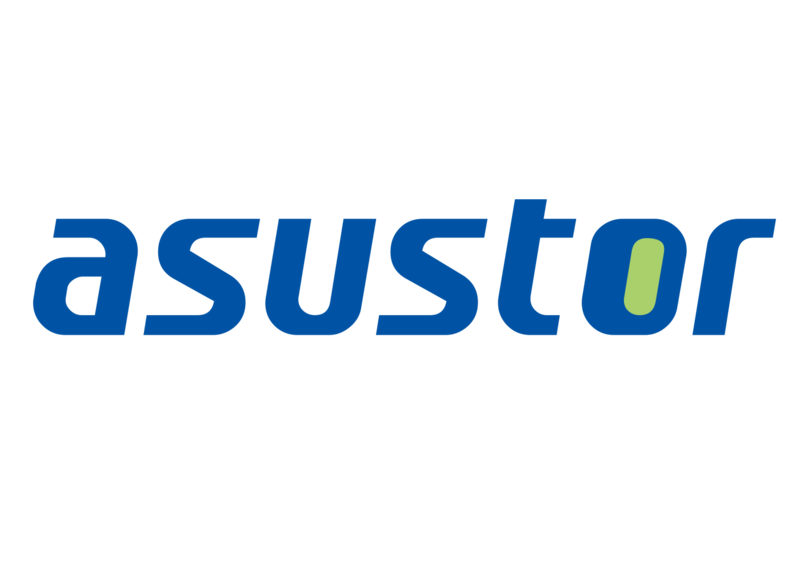 The ASUSTOR brand name was created as a portmanteau of “ASUS” and “Storage”. ASUSTOR is a leading innovator and provider of private cloud storage (network attached storage) and video surveillance (network video recorder) solutions, also specializing in the development and integration of related firmware, hardware and applications. We are devoted to providing the world with unparalleled user experiences and the most complete set of network storage solutions possible.